Inazuma Eleven Episode 61 Part (3/3) - The Last Play-Off! The Genesis - First Half!! Inazuma Eleven Episode 61 Part (1/3) - The Last Play-Off! The Genesis - First Half!! Inazuma Eleven Episode 61 Part (2/3) - The Last Play-Off! The Genesis - First Half!! Inazuma Eleven Episode 62 Part (1/3) - The Last Play-Off! The Genesis - Second Half!! Inazuma Eleven Episode 62 Part (3/3) - The Last Play-Off! The Genesis - Second Half!! Inazuma Eleven Episode 62 Part (2/3) - The Last Play-Off! The Genesis - Second Half!! Inazuma Eleven Episode 63 Part (1/3) - The Neverending Menace! 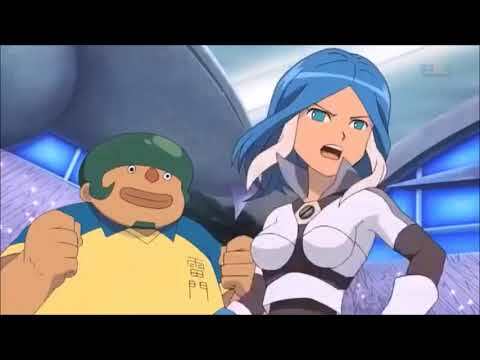 Inazuma Eleven Episode 64 Part (3/3) - Clash! Raimon Vs. Raimon!! Inazuma Eleven Episode 25 Part (3/3) - The Last Play-Off!